NDC International offers laser systems for various processes used in the semiconductor industry including universal laser marking systems. 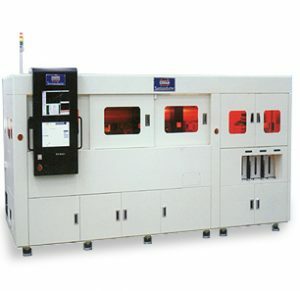 Laser technology can be utilized for ablation (removal of material), trimming, welding and laser marking purposes. We offer a range of laser systems including universal laser marking systems from HANMI Semiconductor and FA Systems Automation.